It’s morning, your alarm goes off and you stumble out of bed. What is the first thing on your mind? Coffee, right? Like most of us. But, for those of us/you who live a Keto lifestyle, let me ask you. What’s the most iconic piece of the ketogenic diet? Debatable.. But I think it’s Keto Coffee, Right?! But, making keto coffee is usually quite the production – and it’s confined to the kitchen counter. Also – the instant keto coffee products that are currently on the market use awful coffee and an absurd amount of powdered fat. I have tried so many and just can’t really say much good about any of them. Not to mention the recipes to make your own. Ack!! The coffee is generally so oily that I can’t even drink it. And some recipes call for so much stuff that I feel nauseated just seeing all that goes into what should be a simple cup of morning Joe.. with a kick! If you are tired of all the hassle and the ingredients, and the mess, then you need to check out my new FAVORITE product! Perfect Keto Coffee! True to Perfect Keto’s standards, they just released the best keto-coffee-on-demand solution. It’s not just coffee. It’s a way to turbocharge your productivity, lift brain fog and support ketosis. Perfect Keto Coffee is packed with powerful antioxidants and energy-boosting caffeine (60mg). The MCT oil brings rich, satiating, brain-boosting, focus-promoting fats to the table, making this the perfect way to start your day. People who want a better, all-natural afternoon pick-me-up. Don’t walk, RUN!! You don’t want to miss out on this one. 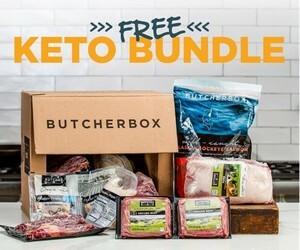 Check out these banners for my keto product recommendations. Use Code LSGKETO for 10% off your order. The best meat money can buy! Coffee is always good for my health and I like to drink it twice in a day. Thanks for sharing an informative post, especially thanks for the coffee. I hope you will share more such type of post.